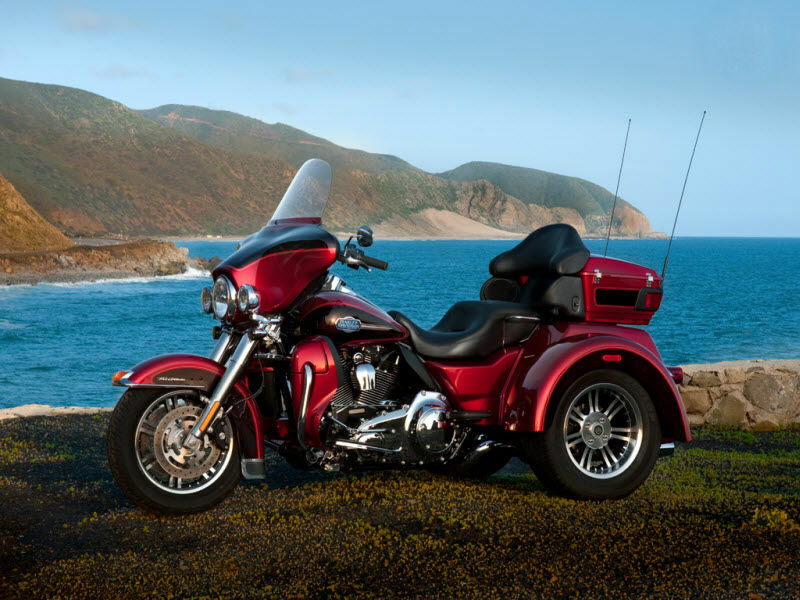 Harley Davidson Ultra Classic Electra Glide is a luxury and comfort bike built with latest technology. Read the review to explore the features, technical specifications & price. 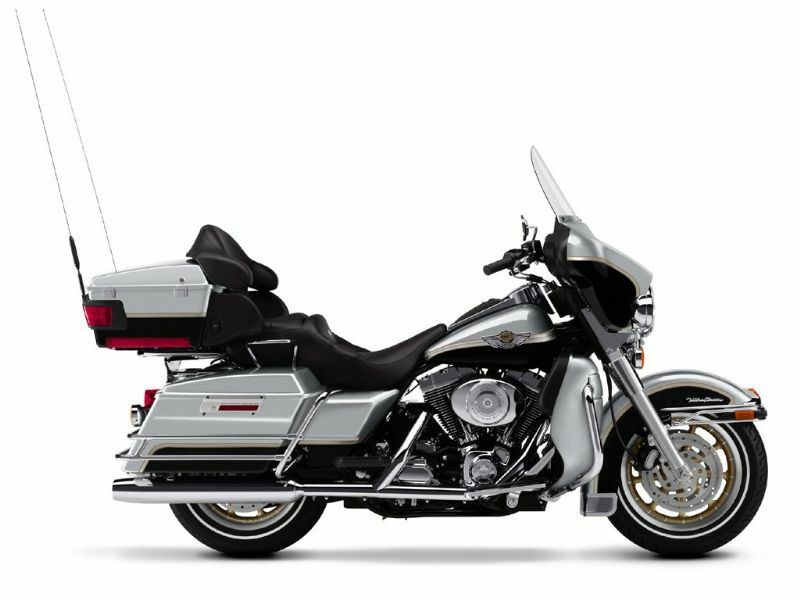 The Ultra Classic Electra Glide from Harley Davidson is trendy and alluring cruiser with all the necessary comfort and convenience. The impressive and unmistakable looks of the bike is so excellent that it definitely serves as a head turner. The larger windscreen, striking speedometer, eye catching body colors and graphics add special attention to the vehicle. It is not only about the looks but the technology of the bike is very good and remarkable. With all the noted features this bike very well combines the comfort, style and luxury. The Air Cooled, Twin Cam 110 engine of the bike with the displacement of 1802 CC is designed to give the greater performance on any type of roads. The 6 speed transmission used in the engine assures good pickup and performance even with heavy luggage. The Electronic Sequential Port Fuel Injection and pressurized dry sump lubrication system used in the engine adds a lot to the vehicle. This power packed cruiser is built to give the maximum torque of about 156 Nm at 4000 rpm. 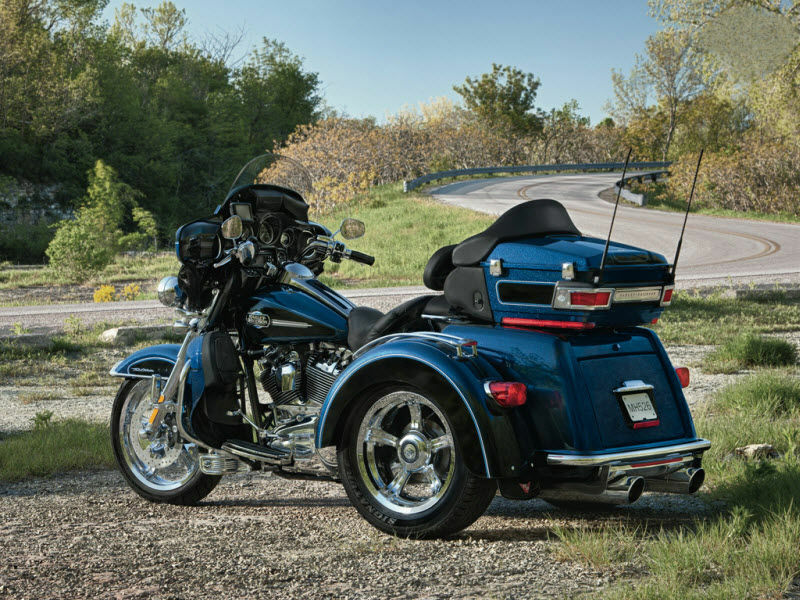 Harley Davidson Ultra Classic Electra Glide is packed with set of fancy and attractive features from front to rear end. The bigger body, larger wheels and long windscreen drags the attention of all. Just behind the windscreen there is a heavy duty instrument panel housing electronic speedometer, tachometer to measure voltage, oil pressure and ambient air temperature. The seating position of the cruiser is very unique and appealing. The rider seat is low and suitable for long drive while the pillion seat is boarder with the comfortable backrest. Further the footboards and saddle bags added to the vehicle enhances its looks. The bike comes with latest brakes including the 41.3 mm telescopic blow by valve front fork and rear air adjustable fork. Further the efficient Anti Lock Braking System (ABS) provided in the bike controls the vehicle very well even at higher speed. The suspension of the vehicle is also very good so that the rider can enjoy the smooth drive even on hilly regions. Harley Davidson Ultra Classic Electra Glide gives the mileage of about 14 to 16 Kmpl. The Ex-showroom price of Harley Davidson Ultra Classic Electra Glide is Rs. 35,45,000. The colors available in this superior cruiser are vivid black, ember red sunglow, white hot pearl, big blue pearl/vivid black, ember red sunglow/merlot, tequila sunrise and deep purple.